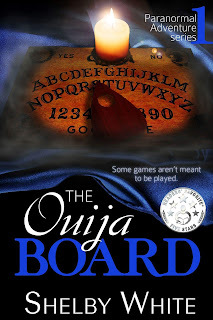 Once the board takes over, nothing stays the same for Alycia and her friends. These sophomore students are on high alert after the purchase of a Ouija Board at Goodwill proceeds to put them on high alert and freaky things happen around them. This is a quick read, YA paranormal story, geared towards under 15. Enough paranormal to keep interest but not so scary as to cause nightmares!